ARMANI Hotel Dubai, located in the iconic Burj Khalifa continues to redefine its ways to interact with the guests with the introduction of two new websites in Mandarin and Russian languages, underlining the hotel’s commitment to engage with visitors from two of the largest growing markets in the travel and tourism industry. The launch of the two websites comes as UAE – and Armani Hotel Dubai - receive a growing number of visitors from China and Russia, stimulated by the positive regulatory changes whereby nationals of both countries receive visa-on-arrival in the UAE. 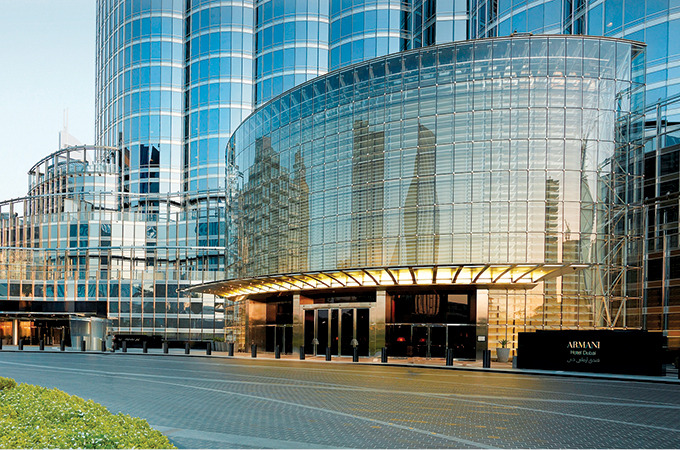 The websites are designed as a one-stop resource to connect with Chinese and Russian guests seeking to exploring a range of elegant lifestyle experiences and outstanding world-class services of Armani Hotel Dubai. WE have seen Srilankan and Air Arabia report robust last quarter earnings, and now Cleartrip shares their own version of good news. Reaching a historic milestone, Cleartrip Middle East, among the leading mobile and online travel companies in the region, delivered its strongest quarterly results ever in the fourth quarter of 2017 on the back of a 59 per cent year-on-year increase in bookings in the MENA region. “We marked a strong finish to 2017 with the best quarterly performance in Cleartrip Middle East’s history. In markets like UAE, we were able to outperform the industry. We are particularly delighted to see that our investments toward the adoption of new technologies have started to yield positive results,” said Stuart Crighton, founder and CEO, Cleartrip. In the UAE, Cleartrip grew four times as much as the overall air industry growth rate, which expanded at about 13 per cent compared to the same Q4 period a year ago. In Saudi Arabia, Cleartrip witnessed a 236 per cent increase in growth, driven by multiple factors including the company’s launch of its Arabic website and continued focus on product innovation. The UAE witnessed a spike in traffic to the Philippines, Saudi Arabia and Egypt, while the Kingdom recorded a substantial growth in traffic to Egypt, the UAE, Pakistan, the Philippines and Turkey. TINERI has already been a popular go-to app for tour operators, DMCs and other travel providers, and now with the release of its API, there will be more that subscribers can get out of the app. The new development will enable third party solutions to integrate with its content management system. "We're very excited at the release of this key new development" said Tim Russell, Tineri's founder. "We know how busy tour operators are and so being able to integrate their existing systems with Tineri will help them keep file handling time to a minimum, enabling them to provide their own itinerary content and a hugely enhanced service to their clients without too much extra effort." FIRE safety has been on top of the agenda of hoteliers ever since the accident at Address hotel on New Year’s Eve. And now, UAE-headquartered hospitality company, TIME Hotels, is ensuring guest safety is taken very seriously with a brand-new fire safety video. A 3D animation video in English with subtitles in Arabic and sign language interpretation placed in the video frame will be available in every room throughout the UAE – a total of 859 rooms across its TIME Oak Hotel and Suites, TIME Grand Plaza Hotel, TIME Crystal Hotel Apartments, TIME Topaz Hotel Apartments and TIME Ruby Hotel Apartments. The 3D animation video, which was made by Do Digital, lasts for two minutes and seven seconds and explains to guests general fire safety instructions and the steps they should take in the event of a fire.